Even though his landline service was working fine, a man in Virginia was recently told by Verizon that he had two weeks to switch to the company’s fiberoptic service or lose his account altogether. This is according to Ars Technica, which tells the tale of John, a Northern Virginia man who recently experienced an outage of his landline service that had nothing to do with the copper line running to or through his home, but with a network error farther up the line. Had he not noticed or brought the error to Verizon’s attention, we wouldn’t be telling you about John, but by filing a ticket with the telecom titan, he inadvertently started a process that ultimately resulted in him ditching Verizon. After bringing the outage to Verizon’s attention, he checked in with the company about his ticket. That’s when he tells Ars that his issue had somehow gone from being an outage complaint to a request for installation of fiber at his home. Verizon even called him to try to set up an appointment to make the change-over from copper to fiber. Not wanting to switch and not thrilled with being compelled to switch without notice, he said no. Meanwhile, John’s landline service eventually came back to life without anyone having to come do anything at his house. But that’s not the end, obviously. On June 18, he received a letter from a regional Verizon executive saying that because “you declined transitioning service to our fiber network to resolve your issue… we will no longer be able to provide service to your home,” even though the upgrade to fiber was not needed to resolve the issue. In the end, July 3 came and went without his landline turning into a pumpkin (and without explanation from anyone), but John decided to switch his landline service — not to FiOS but to the VOIP service offered by his cable/broadband provider. It may not offer the same access to a dial tone during a local power outage, but it’s less expensive than Verizon, and well… it’s just not Verizon. “I’m still canceling Verizon even if it’s still working because this whole experience has been pretty unsavory,” he tells Ars. John’s story is not dissimilar from a recent item we brought you about a New Jersey woman who was receiving letters from Verizon saying she’d lose landline service if she didn’t upgrade immediately to FiOS. 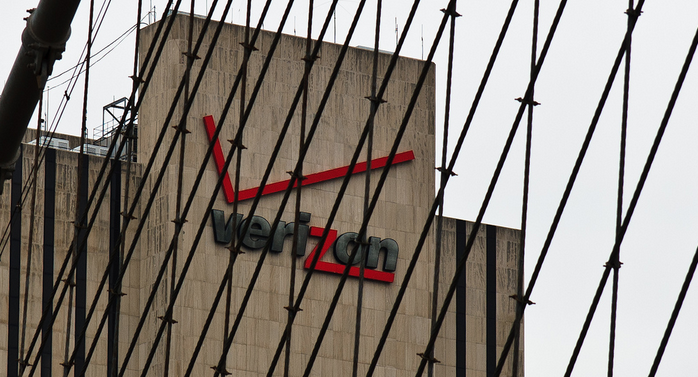 Telecom worker unions have accused Verizon of deliberately neglecting its copper line network, alleging that the company is fudging its service numbers to make it look like they are making prompt repairs to these lines. Verizon denies these claims and says the union is only using them as a negotiation tool.